I'm sure most of you are familiar with the wind direction map, as shown below, but did you know there is also a wind speed map? 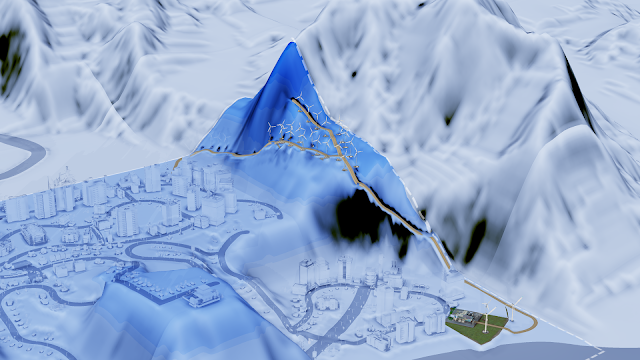 When placing a wind turbine (or in edit mode) the map will show the areas with higher wind speeds in a darker shade of blue. 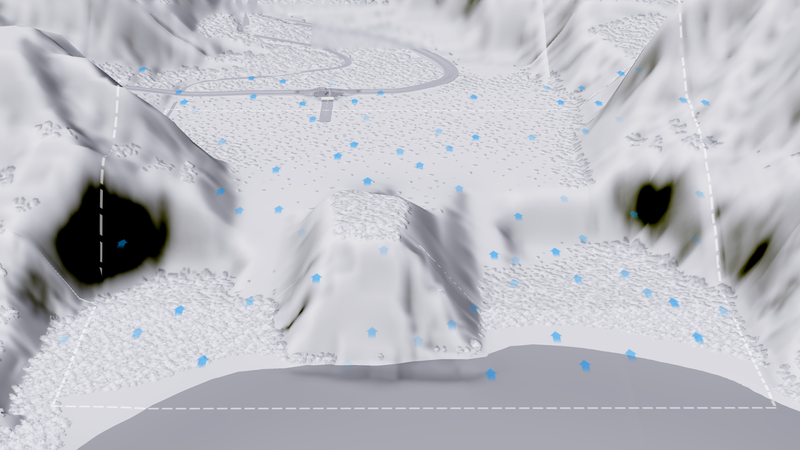 As you can see, the hillside areas often have higher wind speeds than the flatter areas. 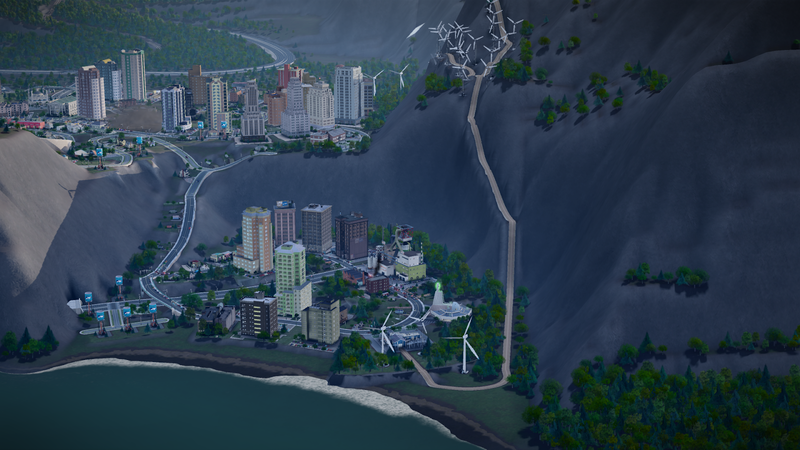 To take advantage of the high wind speed areas, you can place your power plant base in the flat lands and run a wind turbine dirt road up the mountain. 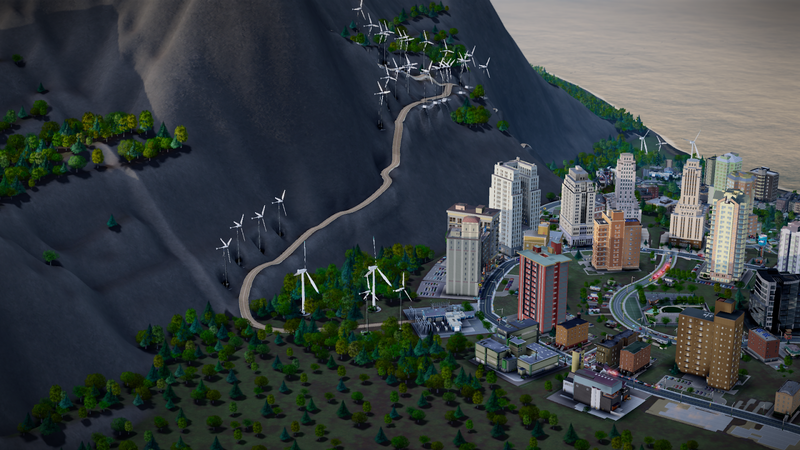 As you can see, the small wind turbines can be fit into all the nooks and crannies of the mountainside. The wind power plant base is in flat lands at the base of the hill. You can also link up two different power plant dirt roads to use up as much wind turbine space as possible. In the photo below, the power plant on the right is maxed out, while the plant on the left is not. As power is needed, I plop another wind turbine along the road.